As mobile apps have already transformed our work habits and browsing patterns, the ways of app development has also been through a lot fresh changes. Of late, there are a lot of cutting-edge tools, frameworks and platforms that have eased the task of developers. Designers can now create incredibly useful and high-end mobile apps easily. Consequently, it provides plenty of user-centric and helpful app to organizations as well as businesses to improve their overall business presence through their mobile app. Technology has advanced and experts have come up with new ways to create interactive and customizable mobile apps for excellent user experience. Until recently, there were over 4 million developers worldwide having used Ionic for building more than 2 million apps. In fact, it is the most comprehensive SDK available for HTML5 mobile app development framework. It offers plenty of advantages than most native apps. With built in Sass and AngularJS optimization, Ionic also offers an entire library of optimized HTML, JS and CSS tools and components for mobile. It reduces code writing for several platforms. So, one single app can actually run on all mobile platforms like Android, Windows and iOS, without any additional efforts or development time. You cannot just ignore Ionic! It is the best platform for debugging, UI, build and performance. In fact, Ionic is one platform with over a dozens of useful components and extensible options. In addition, the quality of each of these components is exceptional and offers seamless interaction. With the latest version, application layout now depends on the type of device and the platform, Ionic, follows certain guidelines on receptive platforms for perfect element display. It also follows the intricacies of transition, platform-specific behavior and transition styling. Most app developers complain about the efforts needed to create splash screens and icons for most hybrid apps. It is vital to consider individual parameters like height, density, width, type of device, and host. Moreover, to complete the job successfully, icons with multiple splash screens should be created. Ionic makes this job relatively easier; you need to create 2 simple files with .png, .ai, or .psd extension within the main resource directory, state the template, and sorted! Experts opine that AngularJS and Ionic is one of the best matches that could have ever existed. It is a winning combo for developing one of the finest and robust SDK apt for building powerful and rich mobile apps for several app stores, which includes Google Play, Apple Store and Windows. 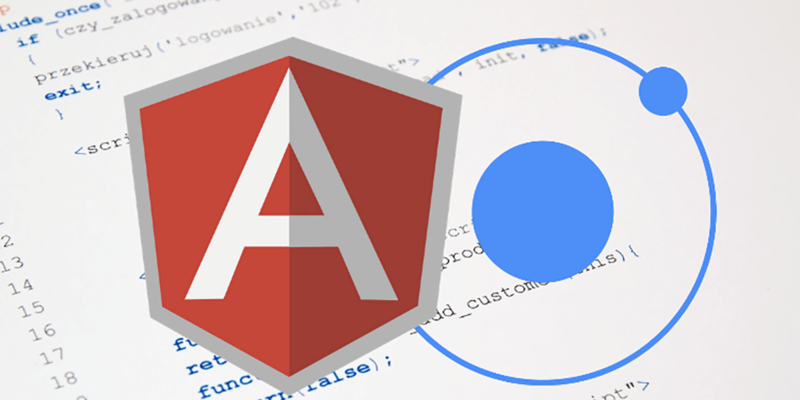 There are a plenty of advantages of Ionic and AngularJS as a combination as Ionic adds to the widely preferable Angular JS features. Ionic has been perfectly modeled for standard development SDKs. It emphasizes more on the native apps running inside Cordova or PhoneGap to deploy apps natively. Likewise, AngularJS is easier to use while interacting with external data sources and backend services. One of the major advantages of using Ionic is the most potent CLI function that helps developers to build, create, test as well as deploy an app onto any platform using a single command. Some amazing features such as Live Reload and Logging also enhance experience. In fact, one of the potential advantages of using Ionic is to assist the existing web developers to build mobile apps conveniently and easily, and with a lot of agility. In this way, it saves money and time for businesses owners as well as companies in identifying mobile-savvy developers. Undoubtedly, hybrid mobile app development is all set to lead the mobile app development market, and even dominate it, to become better in years to come.